Shropshire Council has set out its final plans for development areas across the county, a project known as SAMDev. It is asking for comments on the soundness of the plans by 28 April. I am not happy with these proposals and neither are people I’ve spoken to in Ludlow. We are going to end up sprawling across green fields before brownfield sites with planning permission have a single house built on them. We are likely to see housing built beyond the bypass, while huge sites like the former brickworks on Fishmore Road remain empty. If the SAMDev document is approved, we will get housing development at Rocks Green and at the Eco Park, without any clue how these will eventually join up. If we are to have a new suburb beyond the bypass, and I’m not convinced we need it any time soon, we should plan it properly. It should be a garden suburb with lots of open space. And maybe the suburb should be limited to the Sheet area. Two-thirds of respondents to a Shropshire Council consultation disagreed with plans for housing south of Rocks Green. Indeed, there was little support for any development beyond the bypass, except from developers and landowners. 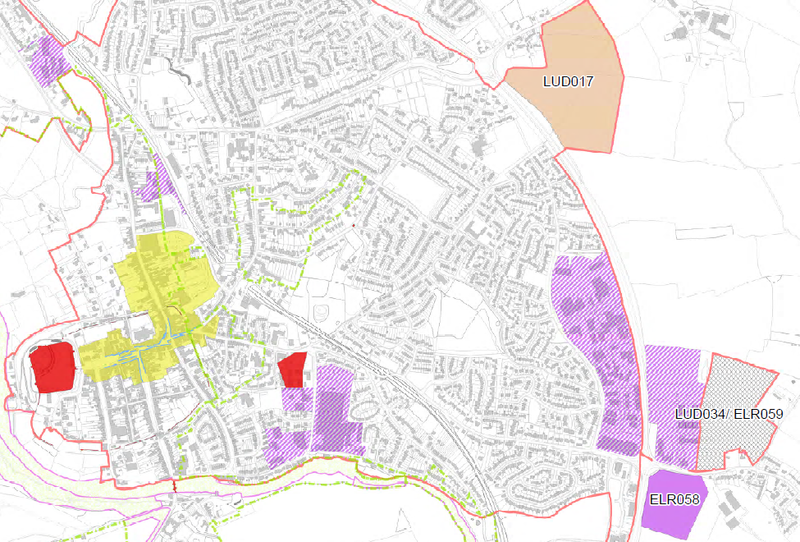 Ludlow Town Council and Ludford Parish Council said they preferred development north/east of the Eco Park after brownfield development first. 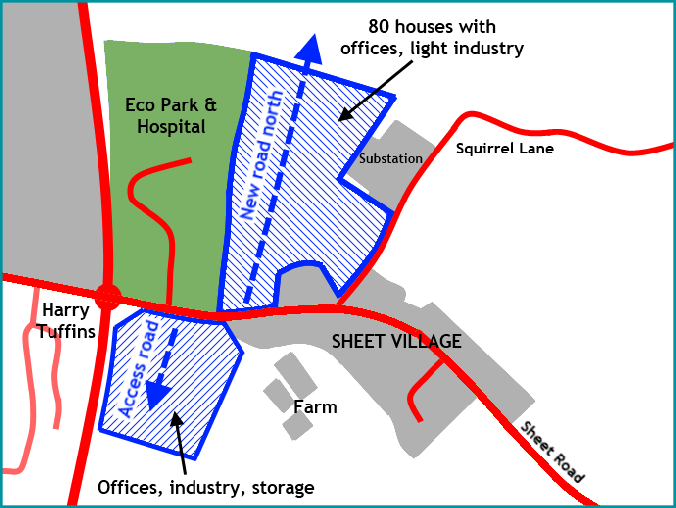 I am particularly worried about the industrial development south of the Eco Park. I fear we will get ugly tin sheds that will scar an important gateway into the town for decades to come. If this area is to be built on, the buildings must at the very least meet the design standards of the Eco Park. Unfortunately, the SAMDev approach is to stick a bit on here and a bit on there without any coherent planning. It will lead to developments that we will regret for generations to come. You can download the plans and comment on the Shropshire Council website. I’d like to know your views.